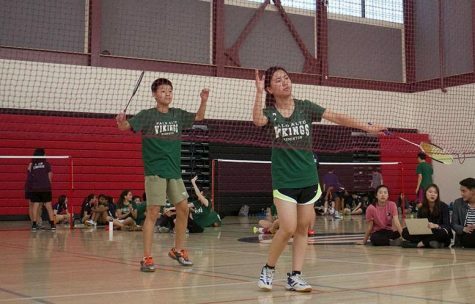 Freshmen Raymon Chen and junior Kevin Zhang practice their doubles formation at a badminton practice at Gunn High School today. 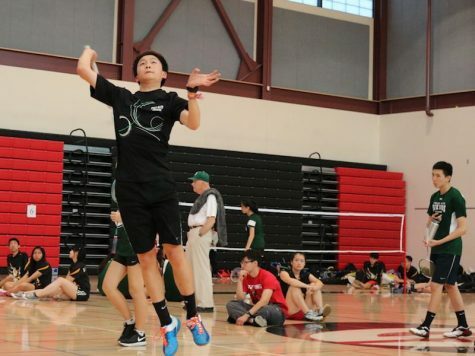 “I am excited about joining the badminton community and the Paly team in general,” Chen said. “I hope to improve and just have fun.” Photo: Miguel Moreno. 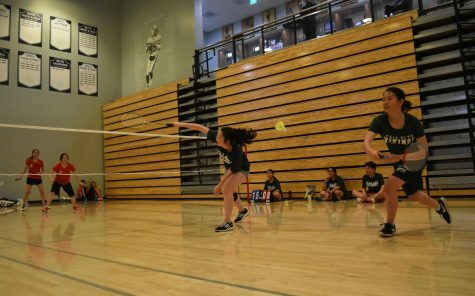 The Palo Alto High School badminton team will be kicking off its season with the first league match at 3:30 p.m. tomorrow at Cupertino High School. 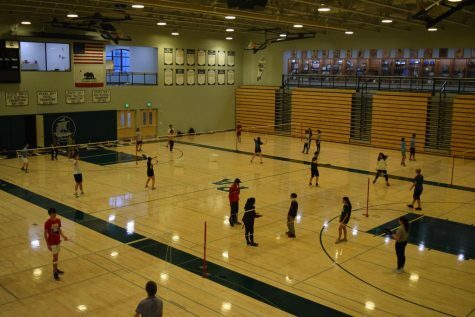 The badminton team must travel to cross-town rival Gunn High School for each practice as a result of the Big Gym demolition. 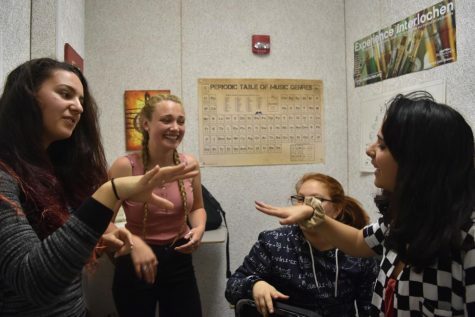 Despite this inconvenience, the team is still optimistic about its prospects at the Santa Clara Valley Athletics League Championship and Central Coast Section Championship. 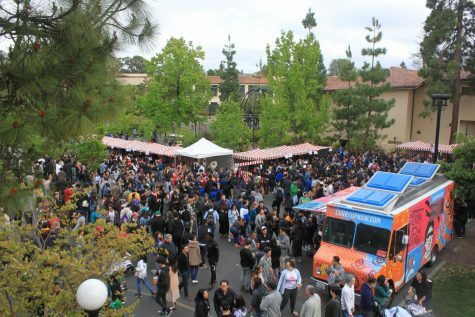 According to senior team captain Josh Ng, the team’s goal is to get more people to go to CCS and to stay in the upper division of the De Anza League. Ng hopes to replicate that success and increase the amount of players placing in events. 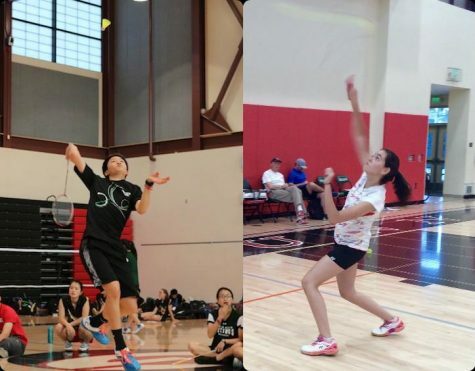 One of the challenges the team faces this year is the loss of alumni, Joseph Chang, Daniel Cohen-Wang and Promise Lee and sophomore Jackie Cai. 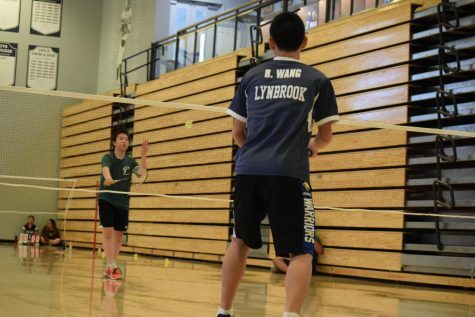 Last year, Lee and Cai placed fifth in girls’ doubles at CCS. Among those who have joined the team are junior Flavia Stiglich, nationally ranked sophomore Michael Chau and freshman Raymon Chen. According to Lim, Stiglich is a former member of the Peruvian National Badminton team. 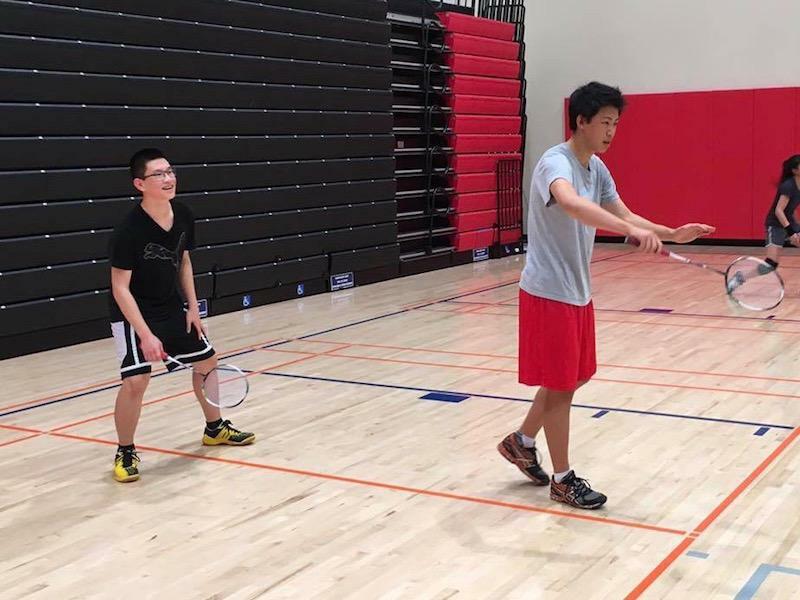 Last year, seniors Eric Chiang, a current team member, and James Wang, a former team member, placed second in men’s doubles at CCS.